The Italian title of this book – a tossed salad of information, anecdote, and reflection, delightful and infuriating like its author – is Divagazioni Rossiniane. Divagazione means digression or detour. It’s exactly the right title, and the book could perfectly well have been published in English as “Rossinian Digressions” – and yet “A Life with Rossini” is perfect too. First, because it is itself a divagazione from the original, and in that way faithful to its spirit; second, because “life” for Zedda was synonymous with “digression.” Conducting, teaching, editing, writing, administrating (under-discussed in the book, hugely important in the life) – slipping and sliding among these things in no particular sequence, but always “with Rossini” as a lodestar – Alberto Zedda managed to preserve his eccentricity, his curiosity, his stubbornness, and his unquenchable capacity for delight across a career surpassing six decades. He also managed to leave a decisive personal imprint on the world’s understanding of the composer who mattered most to him. What Zedda presents here is not so much an effort to understand Rossini as a lifelong adventure in feeling him . . .
Understanding” might not quite be the word, since the clearest thing that emerges from the book is that Rossini defies understanding in the ordinary sense, and that the author has no appetite for reducing him to understandability. Constant themes in Zedda’s reflections are abstraction, idealization, ambiguity, reticence; just as constant are directness, simplicity,order,even predictability. All the well-known contradictions of Rossini’s art are stated, and contradictory interpretations are added (Rossini offers the widest imaginable range of choice to the musical interpreter; Rossini has a strictly delimited aesthetic language whose boundaries the executant must by no means overstep). There is not the slightest gesture towards reconciling such opposites; instead, off to the next digression. What Zedda presents here is not so much an effort to understand Rossini as a lifelong adventure in feeling him – in trying to experience Rossini with the same energy, restlessness, immediacy, and abundance that flow from his music. Rossini’s vocalism knows nothing of the emotional surges which make late Romantic melodrama meaningful and popular, but this deliberate semantic lack favors an extremely large interpretive spectrum which can express anything and its opposite thanks to the ambiguity of a linguistic code which needs minimum variation to migrate from the pathetic to dramatic, from sentimental to comic or from serious to facetious. If I were to propose any amendment to that, it would be to replace “minimum variation” with “no variation.” As is well known, Rossini can re-purpose the very same music from a comic to a tragic context. It can say…whatever. But so attractively and penetratingly! Rossini is predictable; you know what is going to come next ninety percent of the time. What is not at all predictable is how you will feel when it comes. Zedda spends the whole book as he spent his whole life, cavorting in that enigmatic, undefinable energy. In Zedda’s Rossini, the rhythmic element predominates over all others. On a few matters the author consents to pin his subject down, and these are worth underlining. In Zedda’s Rossini, the rhythmic element predominates over all others. Tempo animato predominates over the alternatives of tempo giusto and tempo sostenuto. Melodies are succinct, short, and not subject to development. Vocal passagework is not an outgrowth or adornment of melody but a building-block in its own right, like instrumental ostinatos and patterned crescendos. Repetition whether large or small is a feature, not a bug; cutting it, however easy and seamless the opportunities may appear on the surface, risks making the music seem longer and less interesting. Refusal to express emotion naturalistically does not mean that feeling is absent, or that it is impossible to discern. These are important insights, and I call attention to them lest they be overwhelmed by some of the airier divagazioni. There are long passages in which, however genuine the enthusiasm that shines through them, it would be perfectly possible to substitute for Rossini’s those of Bach, Wagner, Debussy, or Gershwin without affecting their applicability. 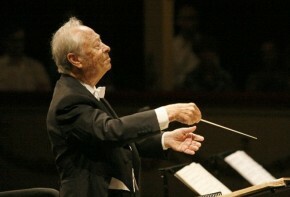 But that is part of the package: we feel the enthusiasm and may even be fascinated by it, but when it has gone by we are not sure exactly what points have been made, or what particular things were in Zedda’s mental ear as he wrote them, and so (perhaps like Rossini’s transplantable musical passages? ), we could apply them almost anywhere. It is very difficult for anyone who knew the author to imagine what reading this book will be like for anyone who did not. I knew him well for the last quarter-century of his life, and listened many times, with delight, to his charismatic ramblings over any and all topics. (The very first time I heard him give a lecture, it was supposed to be about editing Il barbiere di Siviglia but turned out to be mostly about Aida and the search for an ideal Radames, plus a little bit about the music Mozart wrote before he became Mozart.) Several people who knew him longer or better, or both, were involved in the compilation of this book and its various translations, and their prefaces give affectionate warning: “interpretations that the author himself does not perceive as answers but frequently as questions … he would not always find the main track again . . . repetitions, inequalities and even contradictions . . . collisions, overlaps . . . .” That’s Alberto. The book is divided into eleven parts, obviously written at different times and for different purposes. The most valuable are probably those near the beginning and the end. The first three sections contain most of the observations on Rossini’s musical nature, character, and dramaturgy, plus a loose autobiographical sketch interlarded with multiple digressions into – well, Rossini of course, but also random reflections on Plato, Nietzsche, Marx, Confalonieri, Michel Onfray, Montaigne, and others. These charm by giving you the feeling that the guy actually did spend time with those authors, and dipped into his reading when he thought he’d found something useful to share, not to brag. The final chapter is a series of interpretive thoughts on seventeen individual Rossini operas – lively, sometimes maddening, always the fruit of genuine engagement with the moment-to-moment substance of the works, never a mere plucking of useful points from their surface. The fact that he was in a position to make such observations is also the key to why the autobiography is worth attention. From his path-breaking encounter with the corrupt old score of the Barber and the stunning new edition that arose from that collision, through the erection of the dual pillars of the Rossini Renaissance (the Opera omnia still in progress from Ricordi and the Fondazione Rossini; the Rossini Opera Festival that proves every summer how many people all over the world will travel and spend in order to live a few glorious days immersed in Rossini), down to the Indian-summer of a conducting career leading his favorite composer all over the world with the best singers the world has to offer, Zedda was at the absolute center of Rossinian activity for half a century. He lived to see his own esteem for the Swan of Pesaro mutate from a near-eccentric fringe taste to a near-universal consensus conviction, and his labors and collaborations were an enormous factor in bringing that about. Autobiography is the natural opponent of biography. The latter tries to say how a life unfolded and what happened in it. The former tells what the subject wishes had happened, or what he would like people to think happened, or how he would like things to be thought of by the world at large. Autobiography is the natural opponent of biography. The latter tries to say how a life unfolded and what happened in it. The former tells what the subject wishes had happened, or what he would like people to think happened, or how he would like things to be thought of by the world at large. The book is salty, not because it tells Alberto’s amorous adventures (way too short for that), but because it needs to be taken with a good deal more than the traditional single grain. There is an impressive sense of willpower in the telling of so many stories whose “other side” is known to so many people still living. I don’t propose to get into disentangling things here; for opera insiders, it will be sufficient to note that the name of Philip Gossett disappears from the book at page 23, even though some of it was clearly written (or revised) after the cataclysmic divorce that shook the Rossini world in 2006. And that’s not the only divagazione that might raise an eyebrow. So – don’t read it for the facts, read it for the fascinating character of the storyteller, and for seeing the long adventure of the Rossini Renaissance through his eyes. The story is both important and enjoyable, and the eyes are keen even when they might be trying to give you the runaround. Zedda puts Rossinian practice usefully into context with well-chosen readings from early writers going back to pre-Baroque times. . . The in-between material is a mixed bag. Sections IV and V are about vocalism, vocal types, ornaments and cadenzas, and Rossini’s way of writing for the voice. There is a lot of repetition – the sections could profitably have been edited into one continuous account – and a good deal that is confusing. Zedda puts Rossinian practice usefully into context with well-chosen readings from early writers going back to pre-Baroque times, but when he comes to the main matter, he gives a good deal more space to vague warnings about what Rossinian variations should not be than to clear exposition of what he thinks they should be. He champions the necessity (indeed the “sacrosanct duty”) for singers to add their own inventions to bel canto music, but he is not immune to the mistake of considering “variations” and florid vocalism in general as something added in conscious stages to a presumptive blank slate of the composer’s score. It is much more sensible to regard them as free-floating features of singing itself, gradually codified as composers sought more specificity in their interaction with the “little notes” of vocalists. Rossini played an important role in that codification – but singers did not postpone the discovery that their voices can wiggle around neighbor tones and figurations while awaiting a composer’s implied instructions for doing so. The discussion of performance problems is occasionally interesting, but many of them are explained so cursorily that it is hard to imagine anyone but a conductor who deals with the same issues being able to make sense of the discussion. One point of global interest, though: Zedda was a questioner of received wisdom and of “tradition” when it came to cuts and vocal performance, yet most of the orchestral observations add up to practical reasons for doing things the traditional way. (Typical example: don’t do forte followed by diminuendo, instead do forte followed by sudden pianissimo, because otherwise the voices can’t compete. But Rossini knew both those devices and sometimes used one right after the other as a contrast!). Despite several perceptive remarks about the differences between today’s orchestral instruments and those for which Rossini wrote, he seems notably reluctant to consider whether the problems wouldn’t vanish in an orchestra playing the old ones. But then we are on happier ground to close. Chapter X is headed “Advice to Young Artists,” but it quickly sprouts sly divagazioni that might be subtitled “Advice to Every Administrator or Stage Director Who Got in Alberto’s Way When He Was Trying to Do the Right Thing.” It is a fun read. There is a dizzying and unsparing takedown of the inadequate technical and musical preparation our young singers receive in their school years. It’s spot on – though just when he gets to the point where you hope he’ll say what ought to be done about it, he detours to advise that these same poor souls ought also to be studying foreign languages and “have at least a general knowledge of the questions posed by applied philology and musicology (critical editions and interpretive praxis) and know the major currents in the history of human thought (at least those regarding aesthetics) as well as the history of art (at least regarding the theater).” OK, great, sign me up, but when are they going to learn to sing if they’re already not getting that part done? Alberto is blunt enough to point out that, first, if they had the needed technique they wouldn’t have to do this, and second, they are making problems for themselves, because when they finally sing out, they also sing at different speeds, need different breaths, and so forth. Hear, hear! Never mind. There are quite appropriate digressions into L’elisir d’amore, La traviata, I Capuleti e i Montecchi, Rigoletto, and Le nozze di Figaro on the general subject of arias whose “received” interpretation might be ready for retirement. There is good practical advice from experience. Singers think they are helping themselves by “marking” at rehearsals. Alberto is blunt enough to point out that, first, if they had the needed technique they wouldn’t have to do this, and second, they are making problems for themselves, because when they finally sing out, they also sing at different speeds, need different breaths, and so forth. Hear, hear! One more :”legato” does not mean merely connecting notes, but also that “such sounds need to have the same character and intensity, so as not to create a wavy back-and-forth effect which leaves every sound with an annoying sensation of crescendo-diminuendo”. This is crucial and neglected by a majority. Also blunt: singers who complain about the orchestra playing too loud have usually provoked it themselves by singing too loud. Orchestras respond to what they hear. And then we arrive to Part XI, the already mentioned series of seventeen essayettes. These are of varied scope, purpose, and level of polish, but almost all of them will have something you didn’t think of before, even if you are a dedicated Rossinian – and we are back to feeling along with Zedda the endless fascination, “indefinite, attractive, penetrating,” of the enigmatic genius who has had the whole world singing his tunes for the last two centuries. Thanks to his acolyte, we know a lot more of those tunes than we might have learned. And thanks to this odd curio of a book, posterity will know a little more about the acolyte, who more than earns the attention. The American Rossini Society is grateful to Will Crutchfield for this review. 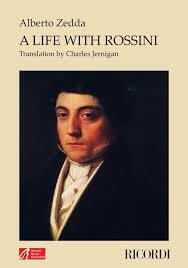 “A Life With Rossini” is available from fine booksellers and for members of ARS directly by writing to ars@rossiniamerica.org.